Each patient requires individual assessment and constant re-assessment to ascertain the frequency of suction required. The lowest possible vacuum pressure should be used to reduce complications which includes atelectasis (Regan 1988, Rosan et al 1962). Closed suction system with t-piece attatched. 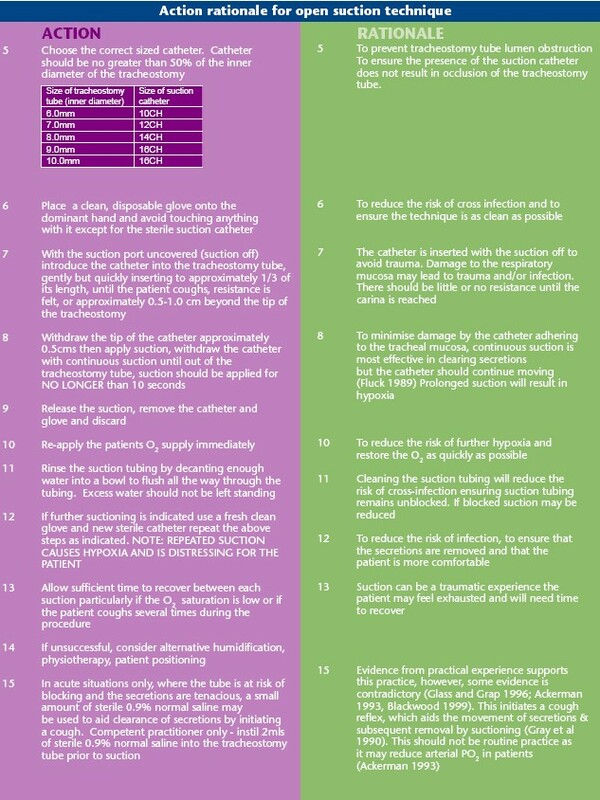 Staff should decide which is the most appropriate method of suctioning for their patients. 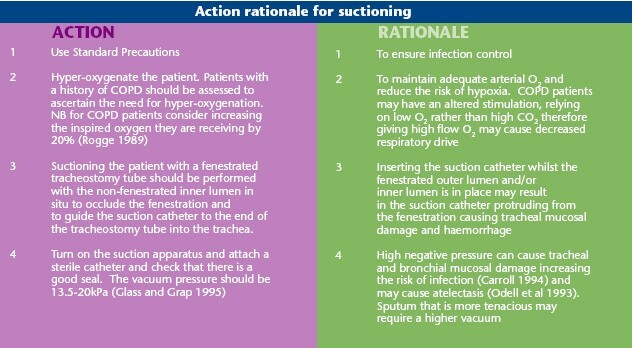 The chart below gives guidance on which method of suction to consider. Click here for instruction on how to apply tracheal suction to the pateint with a tracheostomy tube, these are generic to all patients when preparing for suctioning via a tracheostomy tube. 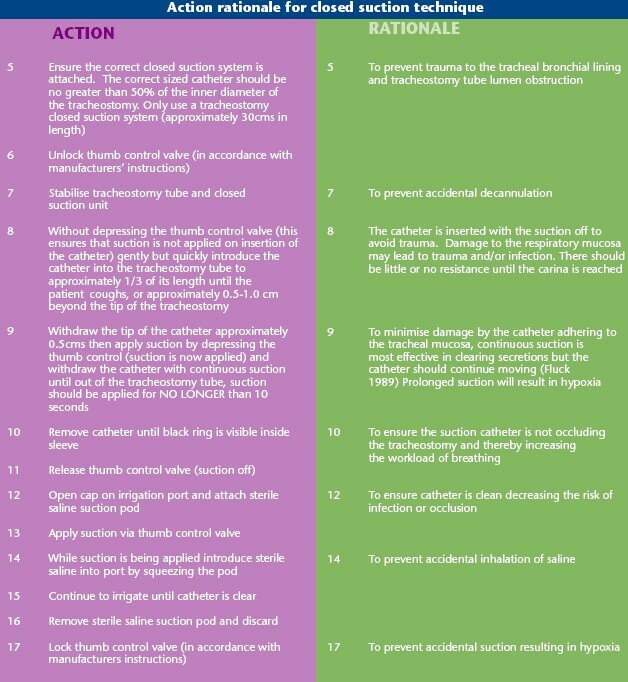 Suitable for patients who require IPPV, who require high FiO2, who desaturate quickly when oxygen is disconnected or who have copious or infected secretions or who pose an infection control risk.